Many of you have been asking for reliable high speed internet service, and it has arrived! 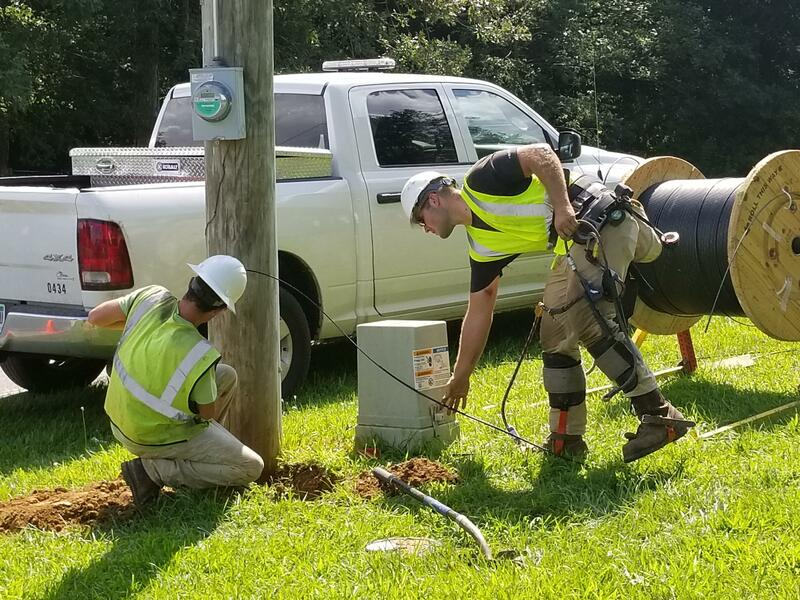 Our team is now constructing a 100% fiber network in Floyd County. Mainstream provides fiber to the home or business internet and phone service, with minimal speeds starting at 50 mbps and ranging up to 1 GB. Our plan is to construct several miles of mainline fiber throughout Floyd County, but we will also expand off of this mainline based on the amount of interest in the surrounding areas. So, how do I get service? Construction may have already started in your neighborhood! Construction of our mainline infrastructure is currently in progress in certain zones. Those who complete the survey will be the first in the area to notified when service is available. Please let us know your are interested by taking the survey! Track your zone and spread the word! We may not be there.. yet! If you do not currently have a neighborhood zone, let us know you are interested and spread the word to your neighbors! While service is currently unavailable, we expand into new areas based on the amount of interested homes. Many factors go into the design and construction of our network, so it helps to know where to expand next. The faster several people in your area take the survey, the closer we will be to expanding service to the neighborhood. Proactive neighborhoods get connected faster, for ways to learn how best to spread the news, visit our spread the word page! We’re excited to be bringing high speed internet to Floyd County and we look forward to serving you. For any questions, please call (844) 752 – 6736.